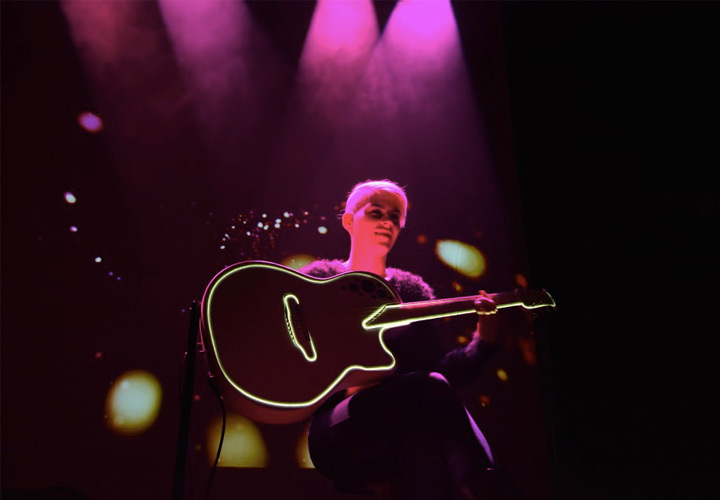 No one has done more to push the potential of acoustic guitar and solo live performance in the last decade than Kaki King. 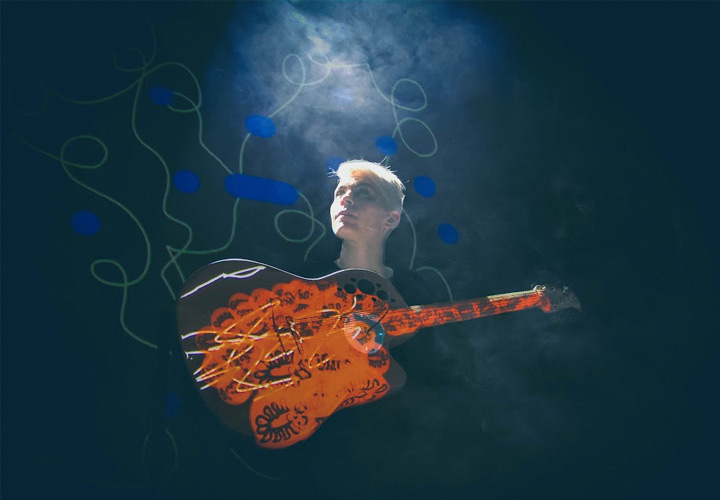 While some younger acoustic players - Daniel Bachman and Steve Gunn come to mind - recall the simple melodies and textures of Kottke and Fahey, Kaki has always gravitated towards unexplored territory. Those who haven't followed her career or listened carefully enough may dismiss her as another Michael Hedges or Preston Reed disciple (influences she readily credits), but that wouldn't do justice to the beautiful songwriting, the multi-instrumentalism, and more recently, the innovative performance art that is uniquely hers. 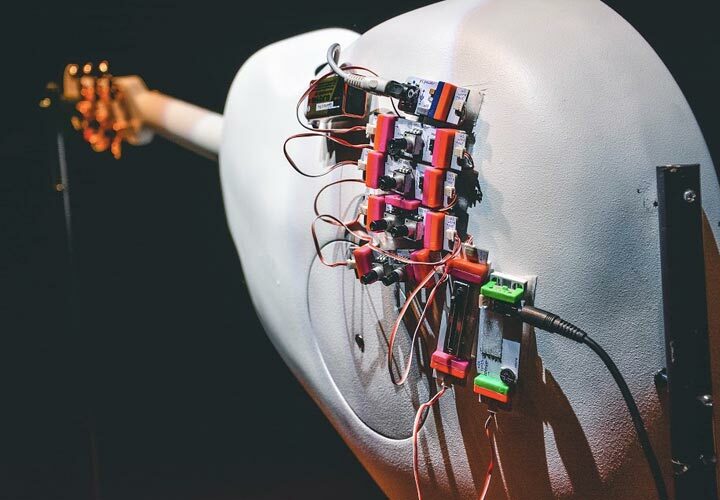 Her newest LP, The Neck is a Bridge to the Body, releases on March 15 and is a companion to a multi-media performance we were fortunate enough to witness at Chicago's Lincoln Hall. 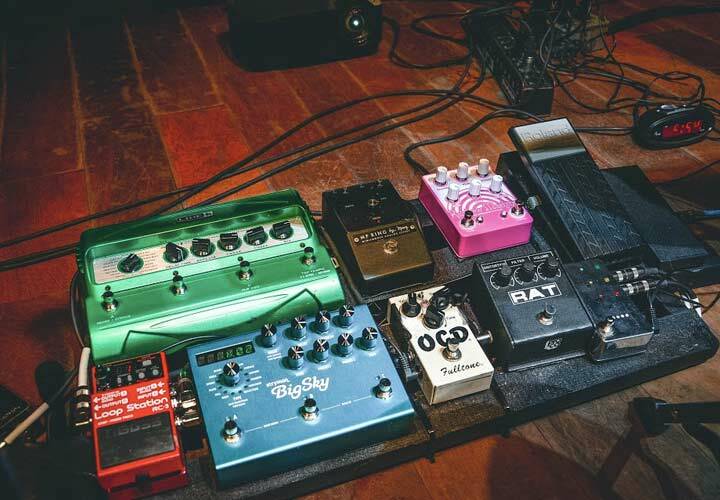 While we were blown away by Kaki's use of gear as an acoustic musician (see her pedalboard and use of littleBits synths in the video), it is her ability to find emotional content in the moment and turn it into something meaningful that truly left us in awe. 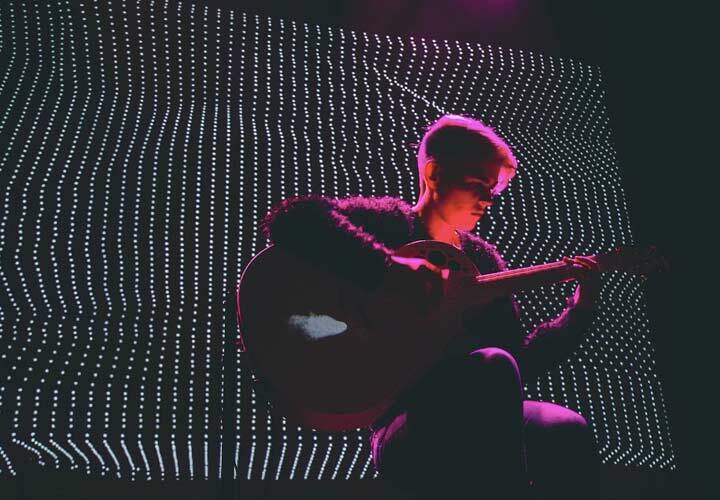 If you aren't familiar with Kaki King and her music, we suggest checking out her full discography. Her LP Legs To Make Us Longer is a good starting point. See what Dave Grohl was talking about when raved about her abilities on guitar. Chances are, you've probably heard her on the August Rush and Into The Wild soundtracks. Watch the video for more on Kaki's gear and check out the album via her official website.